Most effective for the treatment of iron –deficiency & anemia inclusive of vitamin needs for the human body. Alu Alu Blister strip of ten tablets & 10 X 10 Alu Alu Blister Strips kept in a multicolor laminated box. • Ferrous Ascorbate is an antianemic agent. 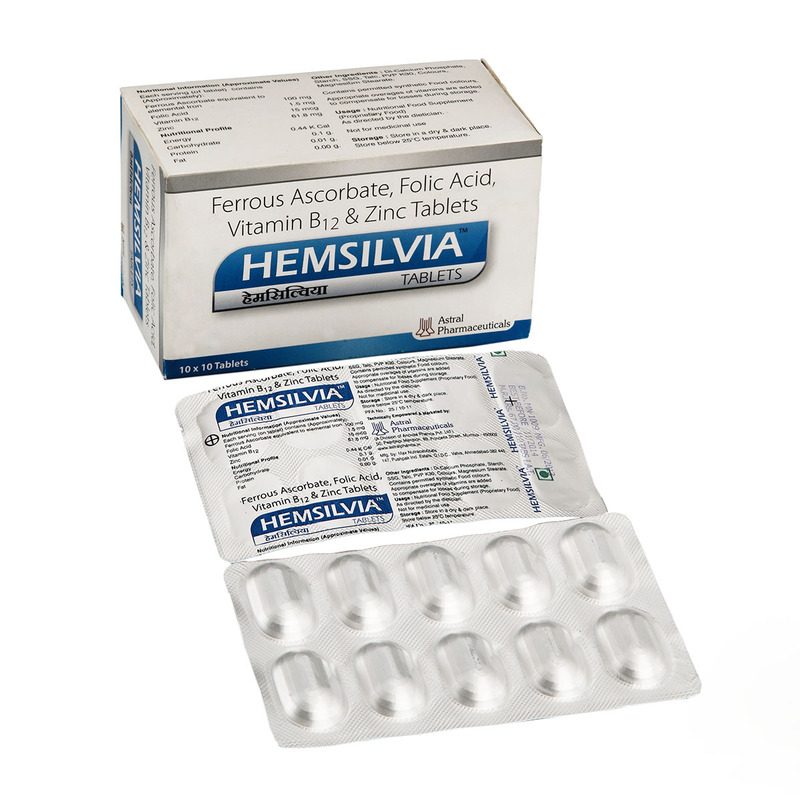 It is an iron supplement, used to treat or prevent iron deficiency anemia. • Folic Acid is a Vitamin B which helps the body makes healthy new cells. Especially for women who may get pregnant, it is very important. • Vitamin B12 also called Methylcobalamin. Its key role is the normal functioning of the brain and nervous system and for the formation of blood. • Zinc is an essential mineral that stimulates the activity of about 100 enzymes in the body. It supports our healthy immune system, to synthesize DNA. It plays important role in healthy development of the body during adolescence, childhood and pregnancy.